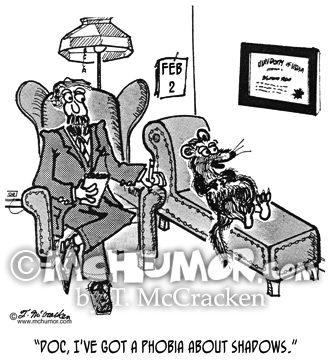 Groundhog Cartoon 1871: A groundhog on a psychiatric couch on February 2nd says, "Doc, I've got a phobia about shadows." 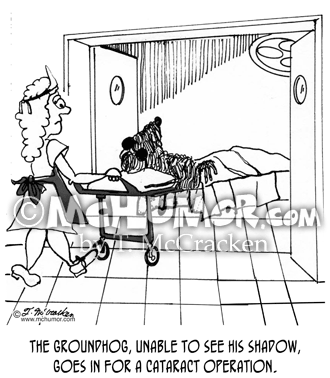 Groundhog Cartoon 1974: "The groundhog, unable to see his shadow, goes in for a cataract operation." 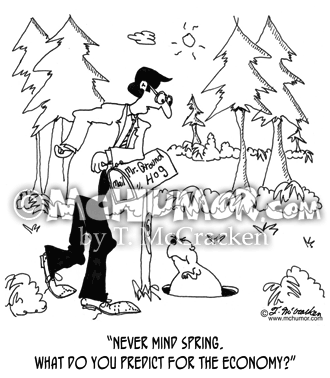 Economy Cartoon 5756: Businessman in woods says to a groundhog, "Never mind spring. 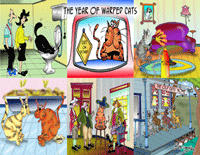 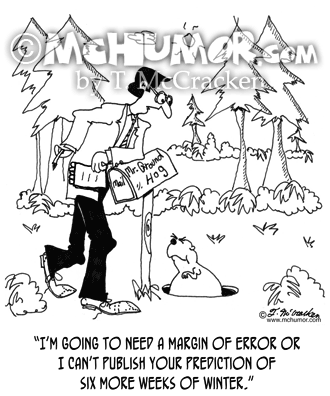 What do you predict for the economy?" 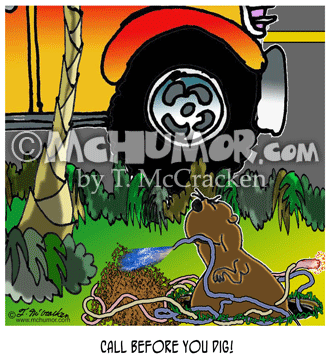 Jackhammer Cartoon 6388: A groundhog pops its head out near a man operating a jack hammer and yells, "Take a break already. 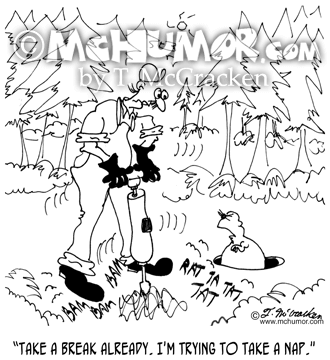 I'm trying to take a nap."